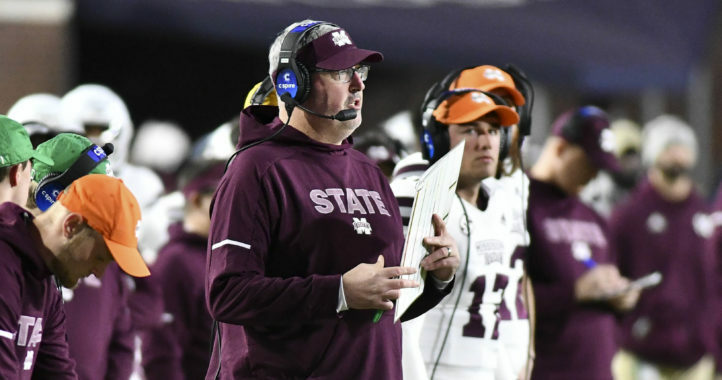 Mississippi State enters fall camp with one of the most talented rosters in the SEC. Those who tell you otherwise simply don’t want to accept reality. They’re set at QB, RB and return 4 starters on the OL. Defensively, they have one of the best defensive lines nationally and boast a very deep and talented secondary. Having said that, the starting lineup is certainly not set in stone, and there are a couple of camp battles that will have to be resolved before Week 1. Here are the five camp battles to keep an eye on. 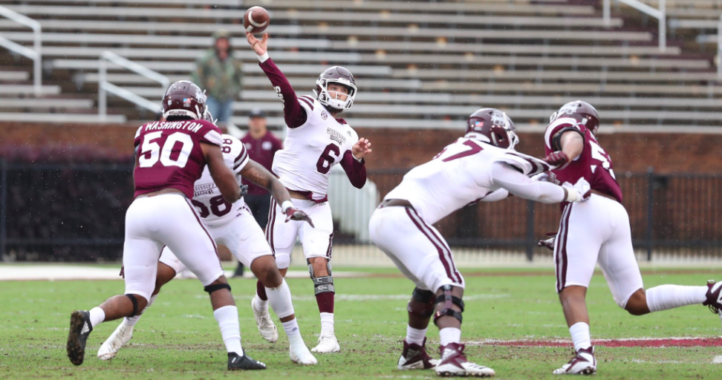 The Dogs are going to have a flexible scheme on defense this fall, but one front they’ll go to often is the 4-2-5, which puts a heavy emphasis on the NB. This not only makes sense schematically in the modern game, but it minimizes one problem (depth at LB) while highlighting a strength (depth at S and CB). The battle for starting NB appears to be down to two candidates, Brian Cole and Jaquarius Landrews, two former JUCO transfers who redshirted last fall. Cole was a WR when he came out of high school as the top-ranked recruit from the state of Michigan in 2015, and saw some playing time as a true freshman for the Wolverines. He transferred to EMCC and made the switch to safety, where he has thrived. Landrews was very lightly recruited out of high school and boosted his stock with a strong year at Copiah-Lincoln. Cole’s experience at WR has helped him as a DB read receivers’ tendencies and jump routes well, in addition to providing him with excellent ball skills. His size (6-2, 210) is impressive for NB as well, where he should be able to help with TEs and backs out of the backfield, in addition to slot WRs. I think it’ll be tough for Landrews to unseat Cole for the starting job, but he should provide solid depth at both NB and S.
State is very well stocked at CB, with a nice combination of youth and experience. With that said, only two guys can start, and it seems like there’s three strong contenders: Cam Dantzler, Jamal Peters and Chris Rayford. All three have very good length and size for the position to can combat some of the SEC’s bigger WRs well. 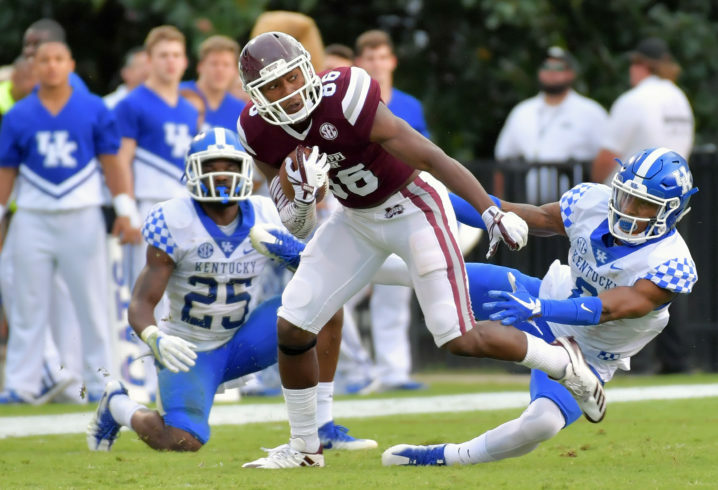 Dantzler (6-2, 175) is the youngest as a redshirt sophomore, but has has shown the most potential to develop into an All-SEC-caliber player with good recovery speed and long arms. Peters is built like a power back at 6-2, 220, and has a plethora of experience having played in 36 games the past three years with 7 starts. Rayford is another grizzled veteran, having seen action in 39 games the past three years with 9 starts. I think Dantzler locks down one of the starting spots because he is the best pure cover corner of the three and has displayed tantalizing skills in coverage, with the ability to play man, zone, off or press. I’ll give the other edge to Peters because of how physical he is in press, plays the run well and has shown a propensity for big plays. Rayford will rotate in and out with the two while continuing to provide excellent special teams play. The Bulldogs had a strong offensive line last year and will return 4 of the 5 starters in the form of LG Darryl Williams, C Elgton Jenkins, RG Deion Calhoun and RT Stewart Reese. The lone starter gone is LT Martinas Rankin, who was recently picked in the third round of the 2018 NFL Draft. Competing to replace Rankin is Greg Eiland, a redshirt sophomore, and Tyre Phillips, a JUCO transfer from EMCC who took a redshirt last year. Phillips has good size at 6-5, 340, with a powerful base and experience playing inside at OG and outside at OT. Eiland is absolutely massive at 6-8, 335, with unbelievable length to keep edge rushers at bay. He saw some valuable time last year filling in for Rankin when he went down with an ankle injury and gave a glimpse of his raw skill set. I think Phillips will do his best to make a push for the job in camp, but this looks like Eiland’s job to lose. He made huge strides developmentally last year filling in for Rankin, and he looks like he could have a future on Sundays. Phillips should provide solid deth behind Eiland, while also providing some flexibility inside in case injuries mount. This is a crucial battle because of how important the slot receiver is in Joe Moorhead’s offense. There’s an interesting battle brewing between Malik Dear, who missed all of last season recovering from a torn ACL suffered in spring ball, and Keith Mixon, considered one of the team’s fastest players. Both are talented all-purpose types who, while undersized (Mixon is 5-8, while Dear is 5-9), possess excellent short area quickness and burst, and just need the ball in open space to make a play. Mixon played OK last year in Dear’s absence, finishing second on the team in receiving yards with 275, but he was hindered most of the year with a foot injury. At 220 pounds, Dear has some girth to go with his quickness and was used nearly as much in the run game as the pass in 2016, so you can imagine Moorhead will find ways to use his unique skill set. Ultimately, I think Dear will win the job because of the overall versatility he’s displayed when healthy, and his frame will better allow him to take more shots going across the middle, which the slot receiver will do often in this offense. That’s not to say that Mixon won’t see considerable time as well, though, because Moorhead is too smart of an offensive mind and the rest of the receiving corps too untested to let Mixon just sit on the bench. Don’t be surprised to see Deddrick Thomas work his way into the mix as well at some point for some reps. This is by far the biggest question on the entire team: Who is going to step up at WR? Due to a myriad reasons, the receiving unit was truly abysmal last year, with no receiver surpassing 300 yards on the season. With that said, there’s great reason for optimism the unit will improve this year. Not only because guys are finally getting healthy, but the new offense should play very well to the broad skill sets of the unit (which features a lot of big, physical WRs who can stretch the field vertically). Jesse Jackson, the team’s leading receiver last year, returns for his senior year. He has good size at 6-2, 215, with fairly reliable hands and is more of a possession receiver. Austin Williams, just a redshirt freshman, had a fantastic spring and displayed soft hands. He’s another guy with nice size at 6-3, 205. Couch is a size/speed specimen at 6-4, 225 with the ability to provide a deep threat on the outside. The two guys fans are most looking forward to seeing is Stephen Guidry, who was the top-ranked JUCO WR for the class of 2018, and Devonta Jason, a 4-star from New Orleans who spurned LSU for State on National Signing Day. Both were in for spring ball, though Guidry didn’t participate in all of the drills as he was recovering from offseason surgery to repair a torn labrum. Overall, I think Jackson and Couch will get the first look with the starters, with Williams, Guidry and Jason seeing more and more playing time as the season goes along. I expect at least one, if not two, of these guys to separate themselves from the pack by midseason. I think should be a far more dangerous and productive unit as a whole, which obviously bodes well for QB Nick Fitzgerald’s development. Our biggest battle will be at running back. You really don’t know a whole lot about football. You trying to talk football is like watching grass grow. We all know the real reason you’re on this site, and it’s not to talk football. Don’t even pretend. It’s to troll people and bring them down to your level so you can fill that sad hole in your life. How else can you sleep at night? That’s hilarious, Belly. You accusing someone of not knowing anything about football after just recently trying to tell everyone that only O-coordinators call plays in college football. Too funny. And the rest of your comment, you are just projecting your life to try and make someone else look bad. Give it a rest. Talk about sad. In the majority of places the OC does call plays. Knowing Mullen called the plays at State isn’t common knowledge. Ah, what the hell would you know anyways? But Belly, you insisted even after being corrected by multiple people that Mullen didn’t call the plays. Even though it was common knowledge because it was widely discussed last year. Clearly I know a hell of a lot more than you do. Of course, that really isn’t setting the bar very high. I never insisted Mullen called the plays. I just assumed he didn’t because most offenses are ran by the OC. Your imaginary friend is telling you lies again. Take your meds. never insisted Mullen didn’t* call the plays. Oh come on, Belly. You know you did. Don’t go crawfishing now. When you make a mistake, be a man and own it. You sounded pretty sure of yourself in that comment. Didn’t leave yourself any wiggle room, but here you are wiggling away trying to play it off but it still comes up a loser. Please collect your consolation gift on your way out. I said all that BEFORE I found out Mullen called the plays. Again, I just assumed he didn’t because at most programs, the OC calls the plays. I’m not wiggling out of anything. If my consolation prize is a violent, throat busting gagjob from you, I’ll take it. WR: I don’t think Couch will see the field much. He has the physicals, but lacked the ability to use it in a game. I hope it will be Williams and Guidry, but think it will be Guidry and Jackson. The slot is very interesting. I think it could be an equal split of Mixon, Dear, and Thomas. I also think that battle could last all season.